Love is a strong word and we tend to throw it oh, so casually around. I fell in love with Coconut Crème Brûlée while dining at Rancho in St. Maarten. I did. It was love at first bite. I only order dessert on special occasions. Of course, every occasion is special in my opinion. And I had a rule to never, ever order Crème Brûlée because of something that happened years ago. You twisted my arm. Of course, I’ll tell you the whole story. 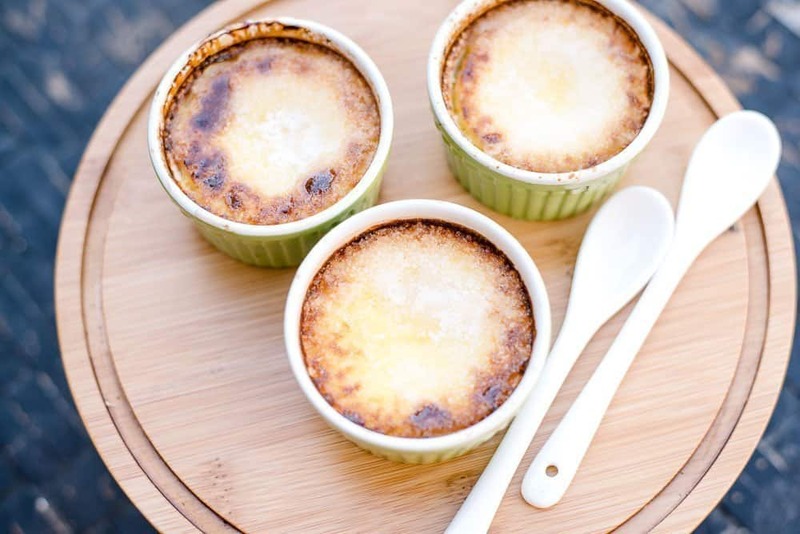 When I was in my early twenties, close friends invited my hubby and me over for dinner and served – you guessed it – Crème Brûlée (also known as burnt cream) for dessert. At that point in time, I had never tasted it. I gently tapped through the top of the caramelized sugar with my spoon and shoved a big bite into my mouth. I almost gagged. It was the worst thing I had ever put in my mouth. I couldn’t spit it out because, well, it would have been rude, but my friend had talked about that dessert like it was the best thing since sliced bread. As I chewed, a sweat broke out on my forehead and it felt like time stood still and that one bite of putrid gunk would never make its way down my throat. I wish I could say it was just my taste buds, but once we arrived home, my child confided in me, telling me that whatever that stuff was, it was yucky. I’m so glad she waited until we were safely within the boundaries of our own home. For decades afterwards, I would come painfully close to ordering crème brûlée or making it myself and actually using my collection of little kitchen torches and ramekins. But the horrible memories would not release its grip on me and I could not bring myself to revisit that painful moment. Until a vacation in St. Maarten. Whenever we do order dessert, the hubs and I always share it. We had narrowed it down between two choices: The Coconut Crème Brûlée or a chocolate brownie/ice cream concoction. I picked the Coconut Crème Brûlée because, let’s face it, chocolate brownie desserts are a dime a dozen. Score! We (I) made the right decision! The hubs is not crazy about coconut. He likes a little bit but not overly done and that dessert delivered. There was no coconut flakes. It had a hint of coconut and was so smooth and creamy with the crunch of that caramelized sugar. It was magnificent! So I had to recreate it when I got home. And I could not recreate something without sharing it with you! After heating the cream and coconut milk and slowly adding the egg yolks and sugar mixture, the custard is ready to go into the oven. Be sure and add water to the baking pan, about half way up the sides of the ramekins. Every time I taste this dessert, it takes me back to St. Maarten. Wish I was there now. At least we’re headed to Turks and Caicos in a few months. Here’s my version of Coconut Crème Brûlée. It’s just as good, minus the tropical breezes and gorgeous sunsets. I’ll just pretend I’m on an island. Somewhere. Anywhere. Preheat oven to 325º. 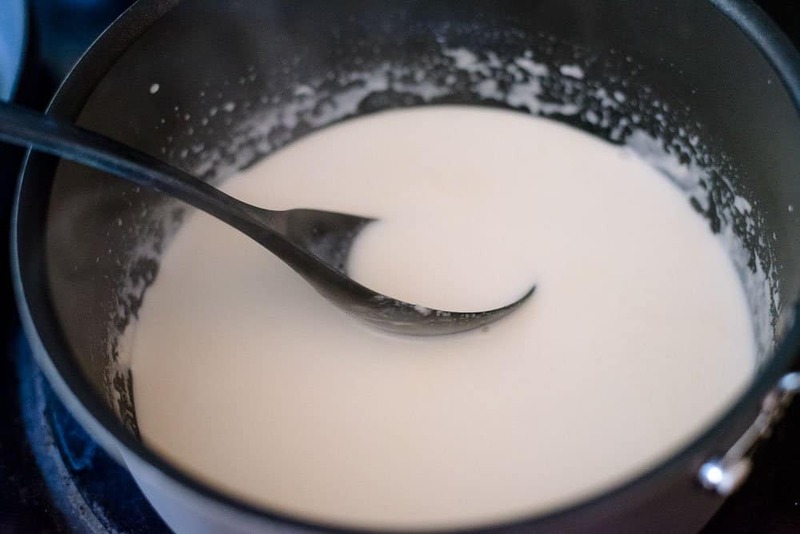 Place the coconut milk, cream and vanilla into a medium saucepan over med-low heat and bring to a simmer. Remove from the heat and let cool. Whisk together ¼ cup sugar and the egg yolks until well blended and they begin to lighten in color. Add cooled cream mixture, a little at a time, stirring continually. You don't want scrambled eggs. 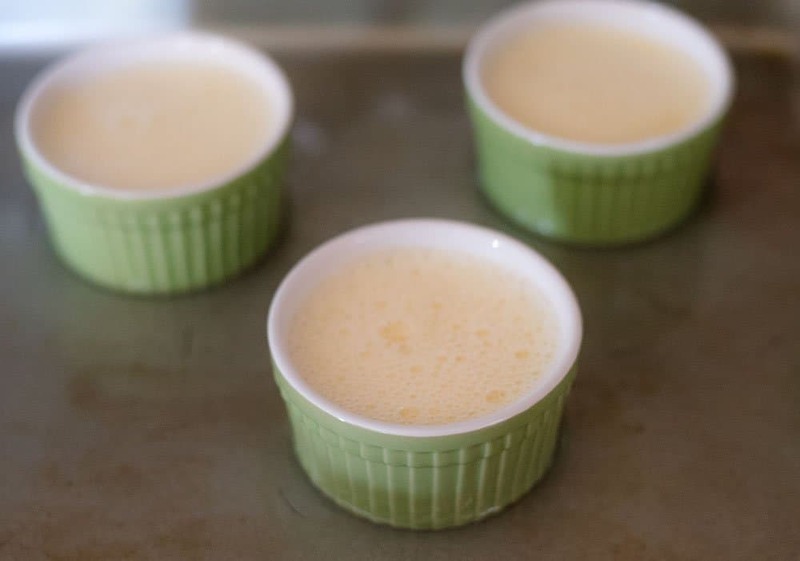 Pour liquid into 6 (7-8 oz) ramekins. Place ramekins in a large pan with sides. Carefully add water to the pan. Bake until set (middle will have a slight jiggle), 40-45 minutes. Cool slightly and place in the fridge for 3 hours (or overnight). Helpful Hint: For me, a culinary torch works so much better than browning the sugar under the broiler. The torch is faster. My torch was out of butane when I made these a few days ago. Notice that the browning on top is not consistent because I used the broiler. My broiler tends to heat the custard base too much before the sugar is browned on top. Try both and see which method you prefer. Culinary torches are not that expensive. You can order one here. 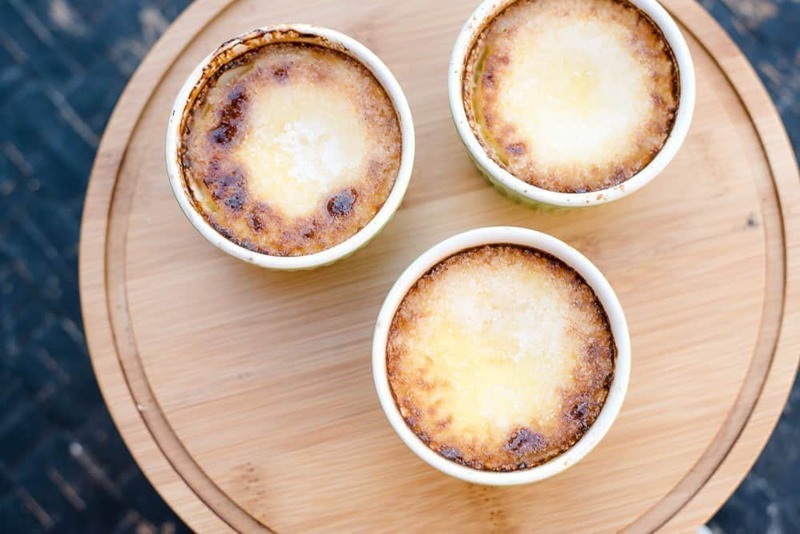 Have you ever made Crème Brûlée? If not, you should try it. It’s not hard to make at all. Creme Brulee is one of my favorite desserts ever. I have all the equipment to make it so I may just give this a try. Oh the coconut, so so good. I even have a bag of coconut flakes from TJ in my pantry! This looks so so good! Drooling at first photo. I have been thinking about investing in a culinary blow torch and I think this post did it for me!!! I share your sentiments exactly as you described your first experience with Creme Brulee. Maybe I need to give it a second chance too. I ordered it in a fancy restaurant so maybe it was them and not the dessert. Yours looks really good and I must confess we have been known to drive around town in search of creme brulee coffee creamer so I know it’s a flavor we love. Good creme brûlée is really good, and bad creme brûlée is REALLY bad. This version looks like it would be delicious! I really like coconut so this would be perfect for me. WOW, this looks decadent. We love to make creme brûlée, but I have never tried this type before. I definitely want to try this now! I LOVE Creme Brulee! It IS gluten-free, of course! But I’ve never had a coconut-flavored one – great idea! Kristen from The Road to Domestication recently posted…The 2016 Spring Holiday Shelf! I can’t believe your first experience with Creme Brulee was so terrible! It’s great that you ended up trying it again and loving it. It sounds good with the hint of coconut. Oh yum! It looks so simple too!! Oh my goodness, this looks and sounds amazing. Something I would love. Though, I don’t cook much, so someone would have to make it for me. I love Creme Brulee and order it whenever I can. I have never attempted it at home but might work up the nerve and try your recipe. I will need to get a torch though because the top is the best part. 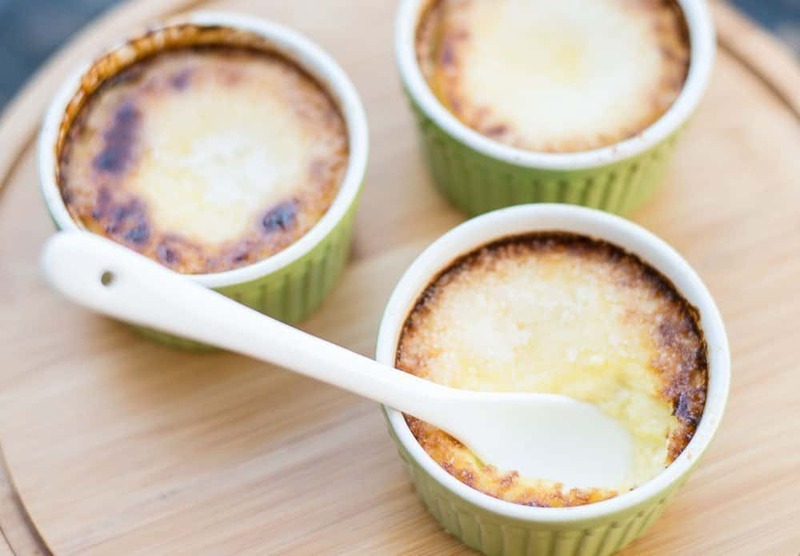 I have never attempted to make creme brulee, it just seems so intimidating! I would love to try it with coconut! I haven’t tried coconut creme brulee either. I might give it a try but I’llsample it next ten I see it on a restaurant menu. 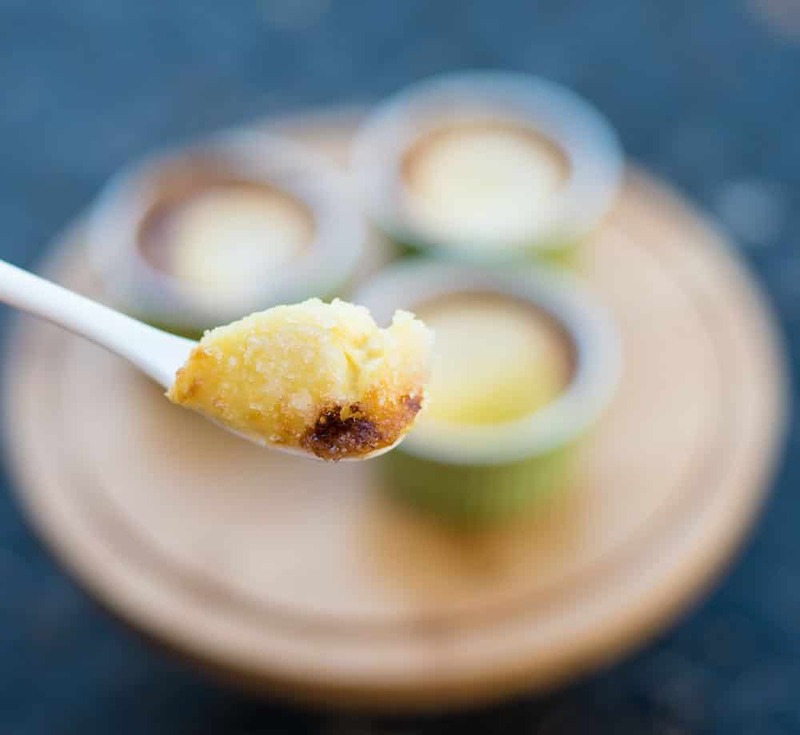 I love oredeing creme brulee because of its sweet taste and its soft on the bite. 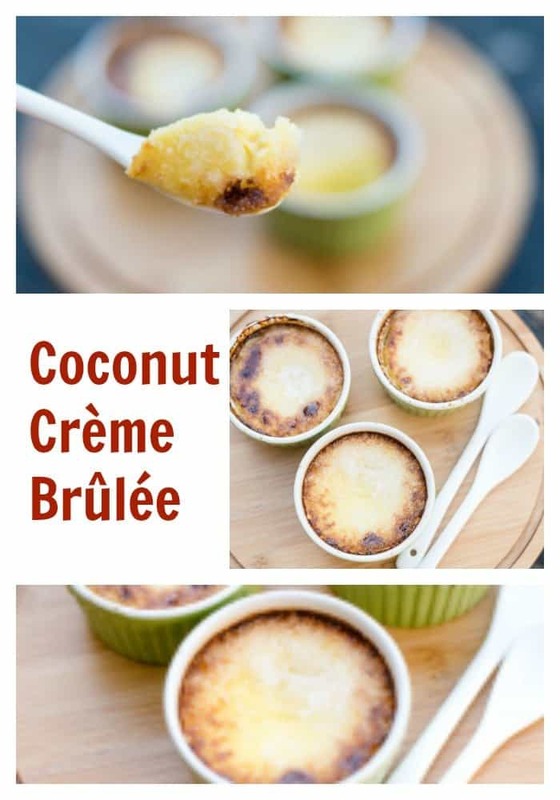 The coconut creme brulee looks really delicious. This dessert looks absolutely amazing! I will say, I’ve been eyeing that torch and I can not wait to order it. I love coconut and this looks really yummy. I’ve never had creme brulee of any kind. I should give it a try. Yumm, this looks so delicious and I would love to try this recipe and hope to make it delicious too! Jasmine Watts recently posted…Arranging a Will: When Should a Millennial Think About It? When I was younger I used to really dislike creme brûlée. Now that I’m older I’ve discovered that I really like it! This recipe looks divine. Thanks for sharing! Oh man I absolutely LOVE creme brulee. And coconut? Yes please! I’m definitely gonna try this asap!